You can find the podcast over at the Sustainababble site or using the player below. Posted in Science. 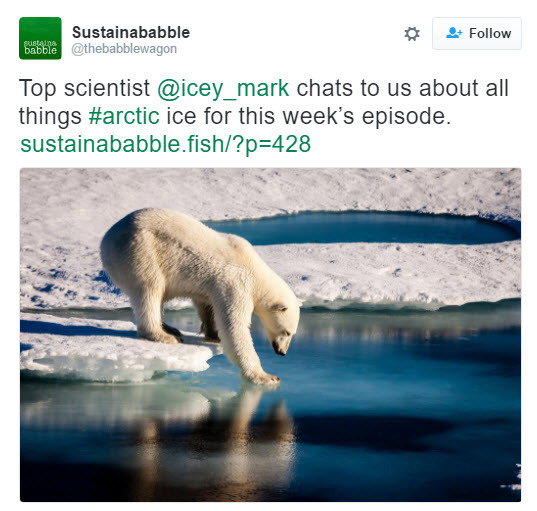 Tags: Antarctic, Arctic, podcast, sea ice, Sustainababble on December 14, 2016 by Mark Brandon.